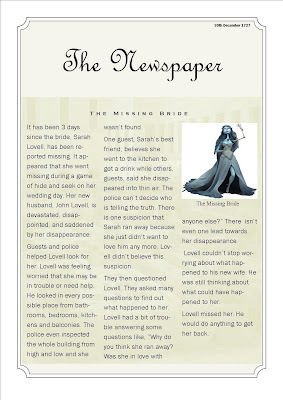 I really like your newspaper article, because first I thought she died but she was in the Pandora's box when she was playing hide and seek, so now I get the story. I like the picture and the article layout. I think the whole article is awesome! !